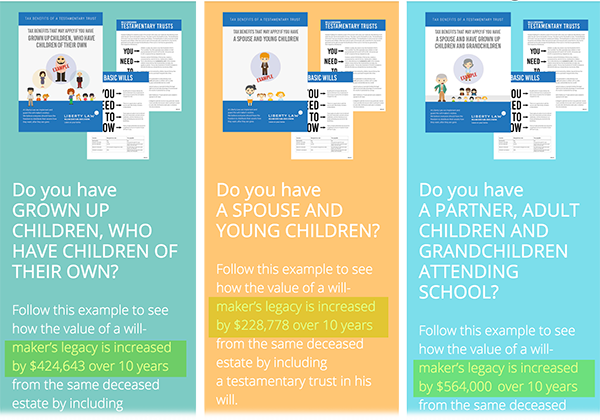 Wills containing testamentary trusts have been around for hundreds of years but have become a necessity for many Australians since the introduction of superanuation and rise in property market values. We have been preparing wills containing Testamentary Trusts for over 20 years and focus on tailoring each trust to maximise the opportunities they offer to each individual client. A testamentary trust is a trust established within a will. The terms of the trust are documented in the will itself. The trust sits dormant while the will-maker is alive and then comes into effect after the will-maker dies. Because the trust does not come into effect until the will-maker’s death, a will of this nature does not create ongoing compliance costs during their life. The person benefiting from the trust, however, must typically lodge a separate tax return for the trust in each year it operates following the will-maker’s death. A testamentary trust usually operates, at the primary beneficiary’s discretion, for up to 80 years from its commencement. 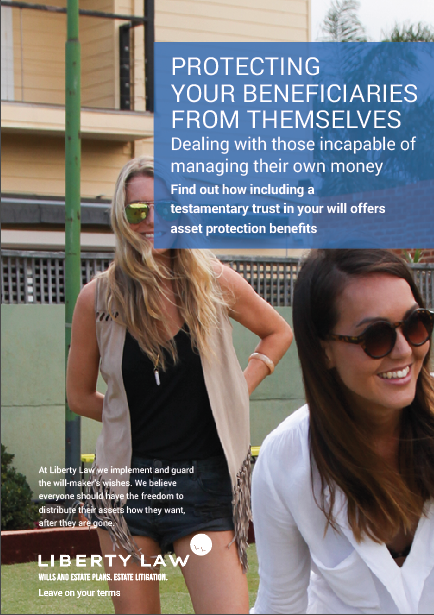 The cost of establishing a testamentary trust, and the subsequent compliance cost borne by its beneficiaries, are usually insignificant compared with the benefits. 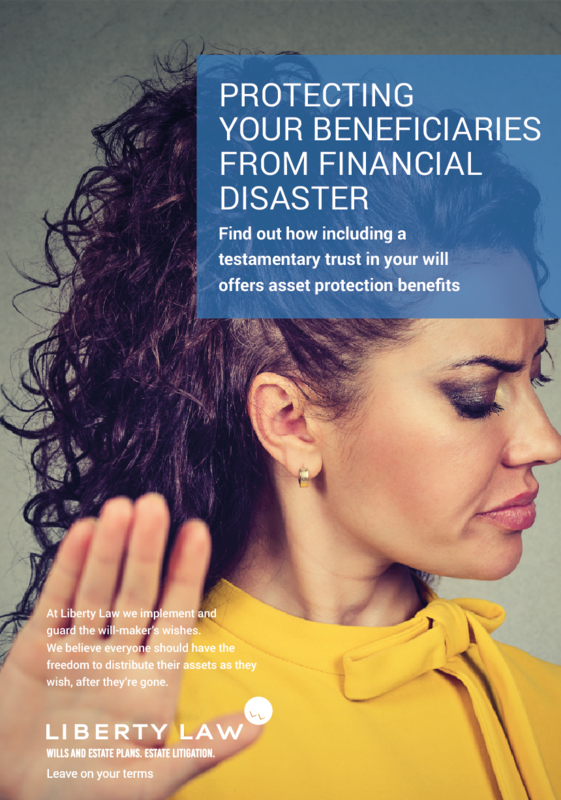 Of course, with the flexibility built into trusts, they can typically be wound up at any time if no longer offering benefits for the beneficiaries. A well-drafted testamentary trust generally permits an intended primary beneficiary to indicate whether all, or just part of their inheritance, is placed into the trust, unless the will-maker specifically directs otherwise. 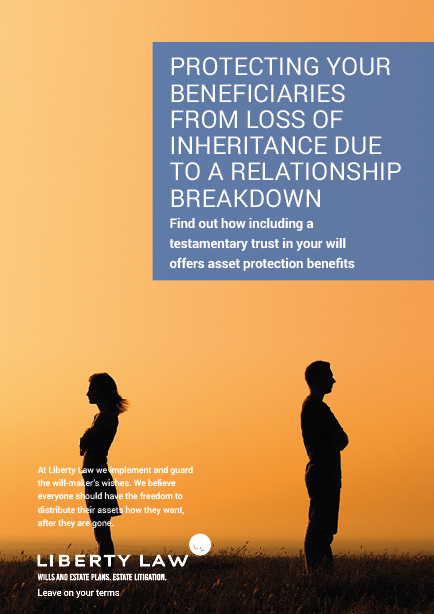 Most beneficiaries seek to have their entire inheritance placed into the trust, however, there is flexibility to bypass it. You can have the document prepared to remove this flexibility if circumstances dictate. For example, if the trust is established for a vulnerable beneficiary incapable of prudently managing money, it might be wise to have the trust managed by an independent person indefinitely. Unless the will-maker specifically directs otherwise, a testamentary trust often contains broad powers and gives the intended primary beneficiary abundant flexibility to use and enjoy assets held in the trust. This way, the beneficiary benefits from the inherited assets as though they had been gifted to the person directly, but also receives the many benefits described here. Unlike a testamentary trust, a discretionary (family) trust is established by someone during their lifetime. The benefits of the discretionary (family) trust can be enjoyed by both the person that established it and other nominated beneficiaries. A trust of this nature might be established for many reasons, such as asset protection, estate planning purposes or for potential tax advantages. There is one key similarity between discretionary (family) trusts and testamentary trusts, that is, the beneficiaries of each obtain similar asset protection benefits. 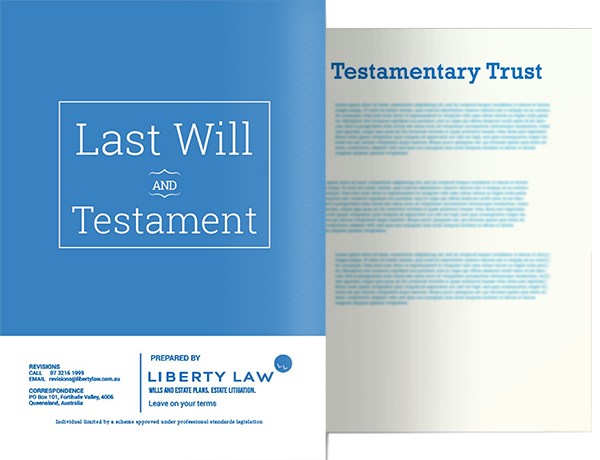 A testamentary trust comes into effect after death, so the will-maker establishing it receives no benefit from it during their lifetime. All of the benefits are created for the beneficiaries named in the will. There are substantial tax benefits available through testamentary trusts that do not apply to discretionary family trusts. Under the Income Tax Assessment Act, a concessional tax treatment applies to testamentary trusts providing an opportunity to minimise tax through the use of a testamentary trust, that is not available through the use of a discretionary (“family”) trust. 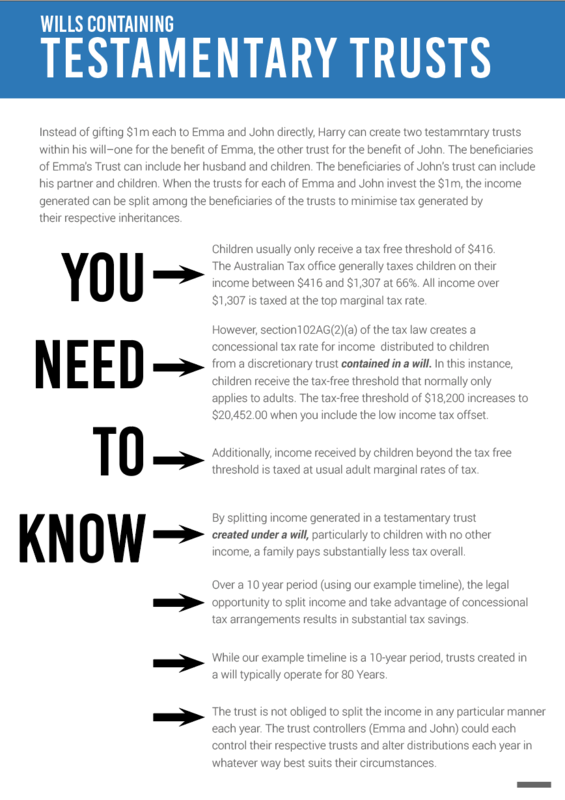 Distributions of income to children under 18 years of age, from a discretionary (“family”) trust, are taxed at abnormally high penalty tax rates. This is to prevent the use of such trusts to split the trust’s income among children (under 18) for the purpose of tax minimisation. However, income generated from assets held in a testamentary trust is taxed differently. A special concessional tax treatment applies to children under 18 who are taxed as though they were adults. The penalty tax rates do not apply. This opens an opportunity to make substantial tax savings. A testamentary trust can lawfully be used to split the trust’s income among multiple beneficiaries, including children under 18. The collective tax burden paid by the beneficiaries on income generated from inherited assets placed in that trust is generally much lower than the tax an individual would pay on assets received directly on inheritance.